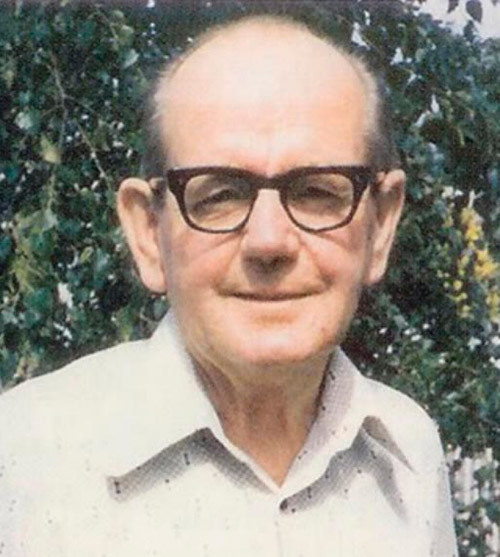 Thomas Ambrose Bowen (1916-1982) was the originator of what is now known as "Bowen Therapy". Tom, as he was known to many, was a humble man who over many years developed the therapy which he practiced in Geelong for several decades. Tom was born in Brunswick, Victoria and was the third child and only son of William and Norah Bowen, who moved to Australia from Wolverhampton in the U.K. It was during his employment at the Geelong Cement Works that Tom started helping out workers with bad backs and other ailments. During the 1940s and 1950s Tom became friends with a man named Ernie Saunders, a "manipulator" who was regarded by Tom and others as a legend of that era. Ernie and Tom assisted each other by sharing ideas and learning about Osteopathy. 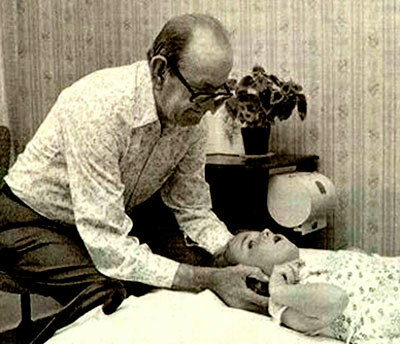 Tom developed his own method of treating people over the years, adapting his techniques to suit his patients and his own physical limitations later in life. Whilst at the cement works Tom also became friendly with Mr. Stan Horwood and his wife, Rene. They offered to help Tom start his osteopathy business by opening their home for patients to come for treatments. Mrs. Horwood at that time was running a very successful hairdressing business in Geelong and was an able businesswoman. As Tom had no business background, Rene was able to run the business side for him while he started treating people with their sore backs, necks, football injuries and other muscular skeletal problems. Each day Tom would finish work at the cement works, go home and clean up, have dinner then commence his therapy at the Horwood's in Autumn Street, West Geelong. In the early 1960s after Mr Horwood passed away, Tom felt it was time to make his therapy a full-time occupation. He resigned from the Geelong cement works and went full-time with his therapy. Rene Horwood, who had sold her business by this time, worked with Tom as his assistant, guiding him into the business world. Tom moved his practice several times within Geelong over the years. He built up a very busy practice using his own style of osteopathy work, which we now call "Bowen therapy". His practice was so busy that in the Webb Report of 1975 (a government report into natural health practices) it was found that he was treating some 13,000 patients per year. This number of patients were treated during just four and a half days a week. Saturday mornings were for treating the disabled, especially children, free of charge. Tom performed a lot of work for little or no financial reward. Tom not only worked with people but also with many animals including dogs, cats, cows, pigs and horses. He had a special connection with animals, and always seemed to know what to do with them to help when they were injured. He developed an interest in some trotters (horses) that he treated quite regularly at Geelong, with some stories being told of the successes that followed the treatments. Tom's reputation for being able to overcome muscular skeletal problems was enormous, with people travelling vast distances to see him, not just from his home state of Victoria. Tom treated approximately 65 patients most weekdays and about 20 on Saturday mornings. The patients would usually only require two to three treatments to overcome their problem of the time. Tom also made house calls in the evenings when necessary. This was Tom's philosophy in life. Source: An article written by Brian Smart, Hon. President of the Bowen Therapists Federation of Australia, Inc.